Abstract: Atmospheric aerosols affect human health and influence the Earth’s climate by interacting with solar radiation and changing cloud properties. Despite the improved description of aerosols in modern Earth System Models, their current and future effect on the global and regional climate remains uncertain. Reasons for this uncertainty include the high spatio-temporal variability of aerosols due their short atmospheric lifetime, and the complexity of the processes that dictate their concentrations, composition and size distributions. The increasing availability of computing resources allows us to perform simulations at very fine resolution, leading to fundamental questions such as: does the high resolution always provide improved simulations than using a coarse resolution global model? Regional models applied at high resolution over specific regions of interest are generally expected to ‘add value’, i.e. improve the fidelity of the physical-dynamical-chemical processes that induce extreme pollution events and dictate the climate impact, via a more realistic representation of their spatio-temporal variability. In this talk I will present some of my research focused on the use of a state-of-the-art regional model, the Weather Research and Forecasting model with Chemistry (WRF-Chem), to investigate aerosol variability and impacts over North America, as well as sources of uncertainty. 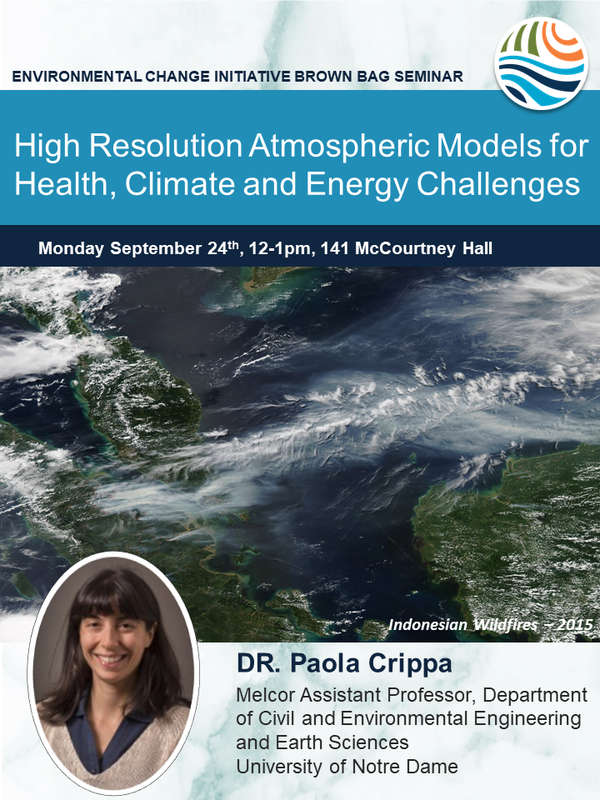 I will discuss how the fine spatial resolution improves model performance in describing both mean and extreme aerosol concentrations relative to observations, in addition to meteorological parameters and gas-phase concentrations. In the second part of the talk, I will present two other modeling applications to investigate exposure and mortality from wildfires in Equatorial Asia, and to enhance the renewable energy portfolio of developing countries.